Sorry, but the class: "Rheem - Piano Lessons (Kyler)" is no longer available. I acknowledge that tuition will be processed when minimum enrollment for the class has been met. I understand that tuition will not be charged at the time of registration. 1. For group classes or summer camp, tuition plus any associated lab fee is paid in full on or before the first day of class. 2. Lessons are not transferable. No refunds. 3. MISSED LESSONS AND CANCELLATIONS DO NOT AFFECT TUITION. 4. As an alternative to teacher absence, a substitute teacher will be provided by Village Center for the Arts whenever possible. 5. I grant Village Center for the Arts the authorization to use student photographs and other forms of media that may be used in any/all marketing materials for the Company. 6. As legal guardian for the student(s) listed on this form, I consent to their participation in the Village Center for the Arts program. I realize the potential for injuries, when participating in any activity involving motion. I understand that it is the intent of Village Center for the Arts to provide for the safety and protection of all students including my child, and injuries may still occur. I hereby forever release Village Center for the Arts and its employees from all liability and for all damages and injuries occurring under the instruction and supervision of Village Center for the Arts. Group Classes: Tuition plus any associated lab fee is due in full at time of registration for class. There is no make-up availability for a missed group class. 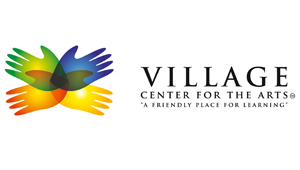 As an alternative to teacher absence, a substitute teacher will be provided by Village Center for the Arts whenever possible. Village reserves the right to cancel any class due to low enrollment; a credit transfer or refund will be provided in this case. Summer Camp: Tuition is due in full including a $50 non-refundable deposit at registration for camp. No refunds or credit transfers once camp begins. There is no make-up availability for a missed class or day of camp. Snacks will be provided for half-day students; students must bring their own lunch if they are attending summer camp for the full day. As an alternative to teacher absence, a substitute teacher will be provided by Village Center for the Arts whenever possible. Village reserves the right to cancel any half-day camp due to low enrollment; in this case, we will try to place you into a different camp, otherwise, a credit transfer or full refund (including deposit) will be provided to you. Any referral discounts are pending student participation and will be processed on first day of camp. As the legal parent or guardian, I release and hold harmless Village Center for the Arts, its owners and operators from any and all liability, claims, demands, and causes of action whatsoever, arising out of or related to any loss, damage, or injury, including death, that may be sustained by the participant and/or the undersigned, while in or upon the premises or any premises under the control and supervision of Village Center for the Arts, its owners and operators or in route to or from any of said premises.